Made with Hefty! Hefty! Hefty! strength and extra-large capacity, Hefty Drawstring Lawn and Leaf Bags help you tackle yard clean up jobs all year round. With a dependable drawstring closure and extra-large 39-gallon size, these trash bags are deal for collecting leaves, twigs, sticks, and grass clippings. Every Hefty trash bag carton features one Box Tops for Education coupon. Hefty buyers have helped contribute over $6 Million to the schools of their choice through the Box Tops For Education program. 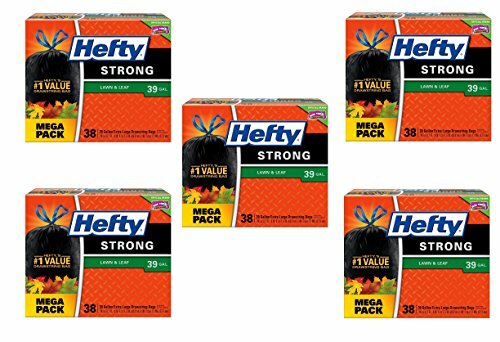 Hefty Trash Bags include a 100% Money Back Guarantee.